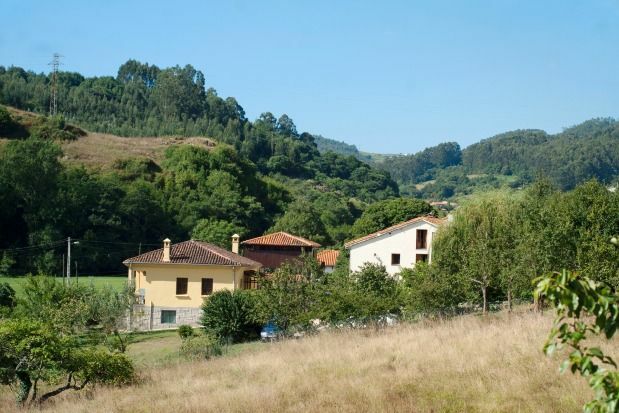 It is located on the central Asturian coast, in the town of Pillarno, 7 minutes from the coast and the mountain, to enjoy unforgettable days in nature, practicing all kinds of outdoor activities. - It is surrounded by a farm of more than one hectare of land, with garden, meadow with fruit trees, prepared with barbecue and outdoor patio. It consists of two double rooms with own bathroom, a double room, a single room, kitchen equipped with refrigerator, microwave, washing machine, digital ceramic hob and small appliances. Dinning room. Living room with tv and fireplace. The furniture and interior decoration has been made in fine woods and wrought iron. It consists of: - Barbecue on the terrace of La Tenada - Parking on the farm for all the houses - Central heating and hot water in all houses Dogs of all sizes and breeds are admitted, including PPP, with no additional fees.